For a toned and moisturized skin. The serum is easily absorbed by the skin, leaving it with a soft feeling, and helps regenerating. The serum provides a toned and smoothed surface. 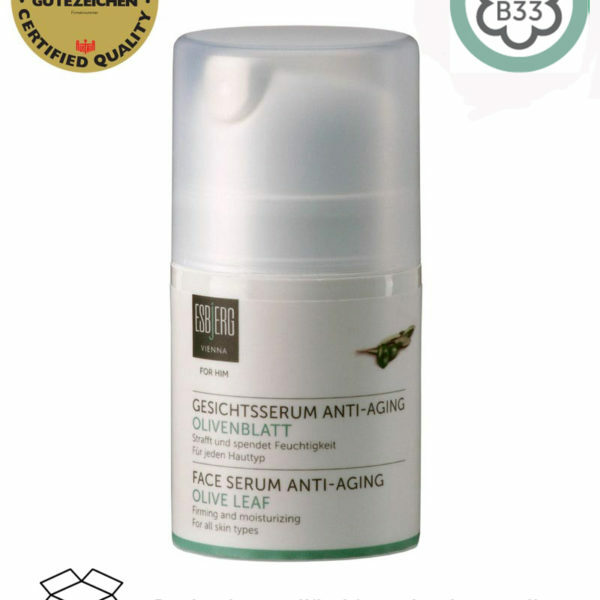 The olive leaf face serum is easily absorbed without burdening the skin. Olive leaf and aloe vera extracts make the skin elastic and supply moisture. Fine lines are reduced, and the natural barrier of the skin is strengthened. The combination of vitamin E, rosemary and sage helps the stressed skin to regenerate and leaves the skin fresh and relaxed. Hydrolized rhizobia gum provides a notable smoothing effect that you can feel and see within a short period of time. Pure natural cosmetics. Oleuropein – a powerful antioxidant – is one of the most important substances of the olive tree. It is an important part of the olive and the olive oil. However, this bitter substance is found in large amounts in the olive leaf. 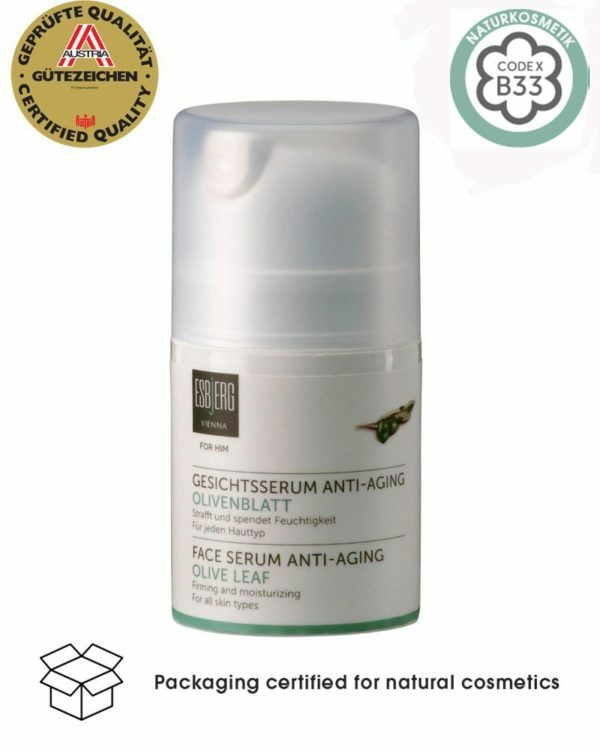 In cosmetics, olive leaf extract prevents premature, light-related skin aging and protects it against irritations. Olive leaves of the olive tree contain large amounts of oleuropein, which has antibacterial, antiviral and antimycotic effects. Wheat germ protects the skin against damaging environmental influences and has restructuring abilities. After cleaning apply sparingly to face and neck, massage in lightly. My favorite facial product this face serum is amazing. A little goes a long way is an understatement. I actually use it in the morning AND at night since it works so well. My classmates asked me at a recent event how I still look so young.